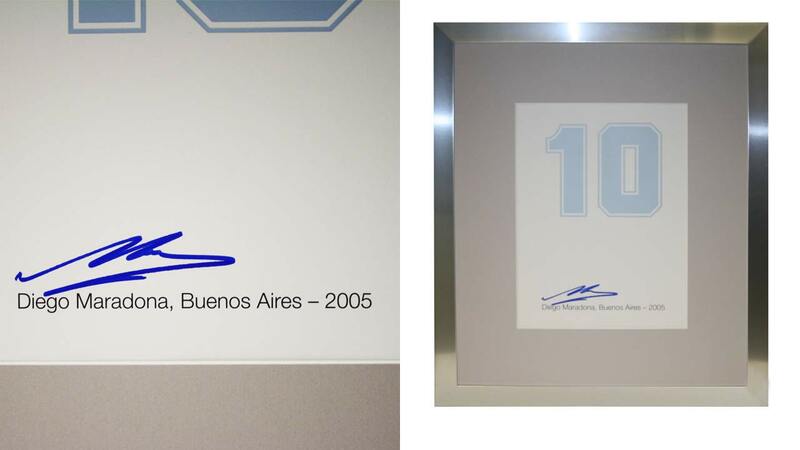 The Argentine legend is considered by many to be the greatest player to ever grace the game. Voted FIFA Player of the Century – he captained his country to victory at the 1986 World Cup. 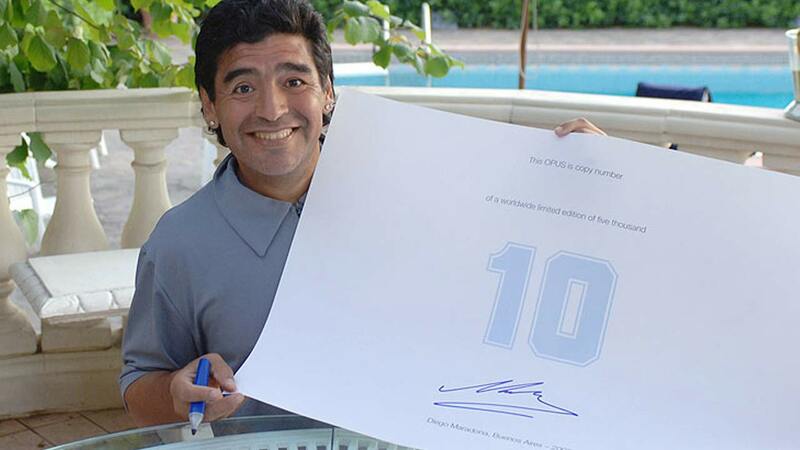 This deluxe signature sheet features Maradona’s iconic number 10, embossed on luxurious Italian Art Paper in the colours of Argentinian flag, and is personally signed by Maradona. Available both as framed and unframed. The framed edition measures approximately 50cm x 58cm.